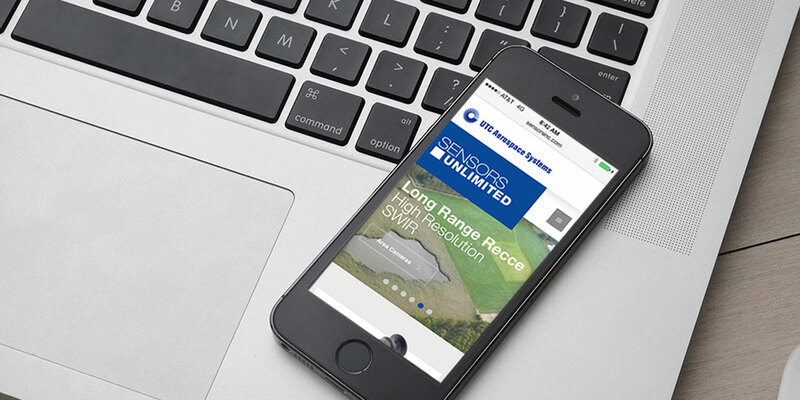 Sensors Unlimited was great at acquiring site traffic, but once users arrived, the site’s aesthetic lacked the professionalism they hoped to exude. Site visitors didn’t have a clear path for conversion and they were unclear as to what product they needed for their application. 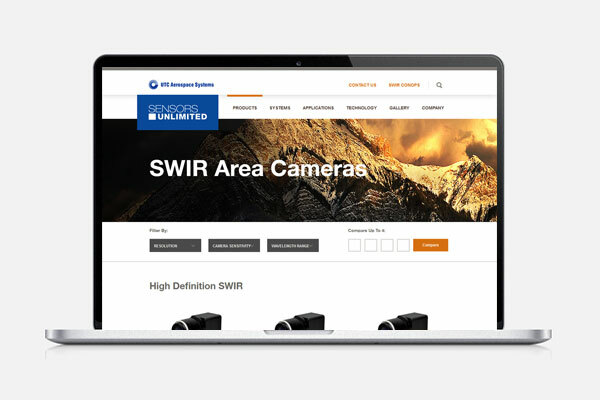 So when Sensors Unlimited contacted Locus Interactive about creating a new site, they had three major objectives in mind: 1) They wanted a site built on a content management system that would allow them to make site updates without coding skills; 2) they wanted their website to look professional; and 3) they wanted to help consumers find the product most relevant to their needs and give them an easy way to request more information. With the objectives clearly defined, Locus put the wheels in motion. The site design, driven by the parent company brand guidelines, was applied in a more modern and clean aesthetic. Products were organized into clearly-defined categories and a compare tool was built to help consumers understand which product is relevant to their needs. Once consumers arrived on the desired product, a prominent call-to-action gave interested parties a way to ‘Request Information’ or share the product details through email. 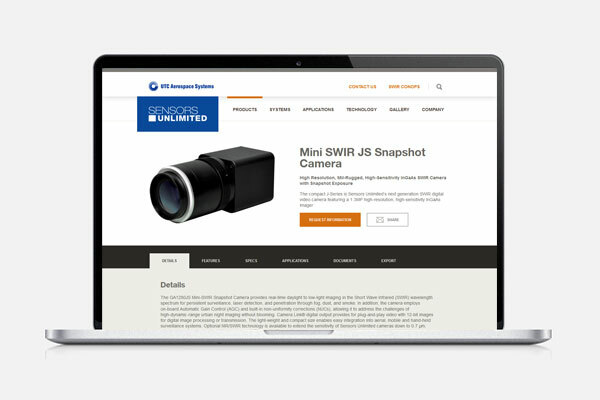 All built on Expression Engine, a user-friendly content management system, Sensors Unlimited can now make updates to their site without the help of a developer. Since launching the site both Sensors Unlimited and the parent company UTC Aerospace are more than pleased with the outcome. 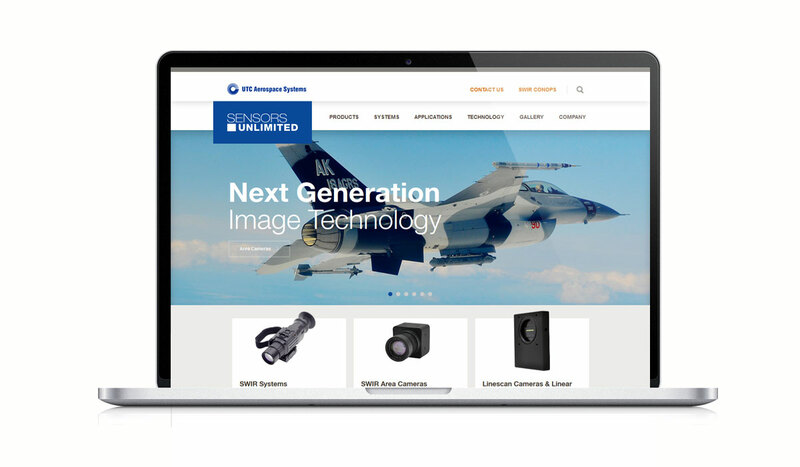 The positive feedback received from consumers, as well as the internal sales teams, convinced UTC Aerospace that more of their brand sites should be built this way and they look forward to starting a second redesign soon.